When the Afghan Whigs dissolved in 2001, they were at the top of their game. Whigs mastermind Greg Dulli was writing songs that were simply beyond the comprehension of MTV and many modern rock radio programmers across the country. His ability to infuse a potent combination of Motown, Stax, and masterful rock ‘n’ roll riffs paved the way for greatness and many trial-and-error copycats to follow. At the band’s peak, with core members Greg Dulli and John Curley, they were critical darlings and tapped to stay one-step ahead of an industry that was changing rapidly. There was, and has never been, a group like the Whigs, who could exploit the support of major labels while maintaining their artistic integrity with raucous hard-edged alt-rock and pure, classic soul. Ten years after the group’s demise, Greg Dulli insisted the band would never get back together. All that changed earlier this year and brought thousands of fans together for two nights of magic. 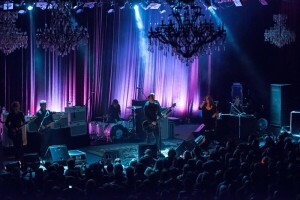 The Afghan Whigs were back, and at age 47, Dulli sounded better than he did back in 1996. As if he had something to prove, we were all just thrilled to witness the best comeback tour of the past decade. Opening up with “Heaven on Their Minds” from Jesus Christ Superstar, flowing seamlessly into arguably their best song “Somethin’ Hot,” everyone in attendance at the legendary Fillmore knew this show was going to be magical. Top music critics absolutely praise 1993’s Gentlemen as the crowning achievement of The Afghan Whigs’ career, and I couldn’t disagree more. 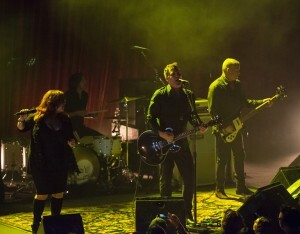 The Afghan Whigs were evolving. Black Love was a fantastic follow-up, but 1965 is the band’s magnum opus. This was the record that encapsulated the band’s experience, making them a stronger unit with a keen personal story to tell. It’s their Zeppelin IV, their Quadrophenia, and ultimately their Exile, both literally and metaphorically speaking. After seeing the Whigs last week, I’ve come to the realization that it’s fine if the band decides to leave it behind and pursue the next project in their individual careers. This tour is an absolute gift to music lovers and quite possibly the best show I have ever seen. In my life. Were you at either one of the shows at the Fillmore? What did you think of the setlist? Please join the conversation in the comment section below.